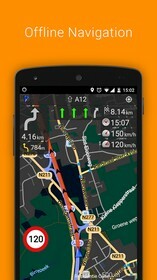 OsmAnd+ Maps & Navigation is a gps for your android mobile. OsmAnd+ (OSM Automated Navigation Directions) is a map and navigation application with access to the free, worldwide, and high-quality OpenStreetMap (OSM) data. All map data can be stored on your device’s memory card for offline use. Via your device’s GPS, OsmAnd offers routing, with optical and voice guidance, for car, bike, and pedestrian. All the main functionalities work both online and offline (no internet needed). OsmAnd+ is the paid application version. By buying it you support the project, fund the development of new features, and receive the latest updates. OsmAnd is open source and actively being developed. Everyone can contribute to the application by reporting bugs, improving translations, or coding new features. The project is in a lively state of continuous improvement by all these forms of developer and user interaction. The project progress also relies on financial contributions to fund the development, coding, and testing of new functionalities. 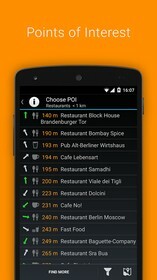 Download last version OsmAnd+ Maps & Navigation from revdl.